We know our Signature Blend works, customers tell us it works but we want to show you it works. We are currently undergoing a gold standard pilot study to full clinical trial in order to help you feel secure in your health investment with Green Gate. We are measuring mood improvement, weight loss, quality of sleep, outward appearance, energy levels, overall life quality improvement along with taking blood samples before, during and after. Our subjects are ages 35-55 and 70% women 30% men with an average, or above average BMI(body mass index). They will be taking 40 grams of our Signature Blend every morning for 3 months. In the meantime, here are some videos and amazing clinical trials that have already been accomplished and produced to show the ingredients in our Signature Blend can improve your life. *Disclaimer- Green Gate London Ltd does not test on animals or endorse animal testing. However since some of these clinical trials have taken place using animals, the damage has been done already so we are simply allowing you to view some of the results produced by parties outside of Green Gate London Ltd.
Mushrooms (Shiitake-Lentinula edodes). Antioxidant activities of polysaccharides from Lentinus edodes and their significance for disease prevention. Antioxidant properties and phenolic profile of the most widely appreciated cultivated mushrooms: a comparative study between in vivo and in vitro samples. Aqueous extracts of Lentinula edodes and Pleurotus sajor-caju exhibit high antioxidant capability and promising in vitro antitumor activity. Click here for the clinical study. Mushrooms (Cordyceps). Cordycepin prevented IL-β-induced expression of inflammatory mediators in human osteoarthritis chondrocytes Anti-inflammatory and antinociceptive effects of cordymin, a peptide purified from the medicinal mushroom Cordyceps sinensis Anti-inflammation effects of Cordyceps sinensis mycelium in focal cerebral ischemic injury rats. Spirulina. Spirulina prevents atherosclerosis by reducing hypercholesterolemia in rabbits fed a high-cholesterol diet. Hypolipidemic, antioxidant, and antiinflammatory activities of microalgae Spirulina. Results obtained primarily from testing performed in vitro on various cancer cell lines or from animal model studies. Mushrooms (Cordyceps, Ganoderma lucidum). Constituents isolated from Cordyceps militaris suppress enhanced inflammatory mediator’s production and human cancer cell proliferation Apoptosis induction of human prostate carcinoma cells by cordycepin through reactive oxygen species-mediated mitochondrial death pathway. Ganoderma lucidum stimulates NK cell cytotoxicity by inducing NKG2D/NCR activation and secretion of perforin and granulysin. 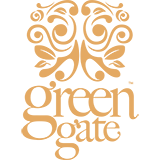 The mushroom Ganoderma lucidum suppresses breast-to-lung cancermetastasis through the inhibition of pro-invasive genes. Parsley varieties (Petroselinum crispum and Petroselinum sativum). 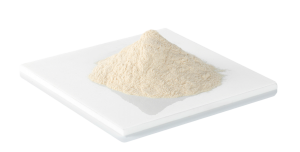 Petroselinum crispum has antioxidant properties, protects against DNA damage and inhibits proliferation and migration of cancer cells. Anticancer activity of Petroselinum sativum seed extracts on MCF-7 human breast cancer cells. Cytotoxicity assessments of Portulaca oleracea and Petroselinum sativum seed extracts on human hepatocellular carcinoma cells (HepG2). Studies reporting various effects: ranging from improved memory to improved motor functional recovery and reversed object recognition memory loss. Spinach, Strawberries, and Blueberries. Reversals of age-related declines in neuronal signal transduction, cognitive, and motor behavioral deficits with blueberry, spinach, or strawberry dietary supplementation. Long-term dietary strawberry, spinach, or vitamin E supplementation retards the onset of agerelated neuronal signal-transduction and cognitive behavioral deficits. 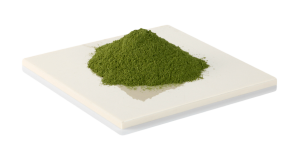 Spirulina prevents memory dysfunction, reduces oxidative stress damage and augments antioxidant activity in senescence-accelerated mice. Spinach, Spirulina, and Blueberries. Dietary supplementation with blueberries, spinach, or spirulina reduces ischemic brain damage. A spirulina-enhanced diet provides neuroprotection in an α-synuclein model of Parkinson’s disease. Spirulina promotes stem cell genesis and protects against LPS induced declines in neural stem cell proliferation. Studies reporting antiulcerogenic effects in rats. Parsley (Petroselinum crispum). Prevention of experimentally-induced gastric ulcers in rats by an ethanolic extract of “Parsley” Petroselinum crispum. Studies reporting in vitro and/or cell-based free radical scavenging capacity and activity against reactive oxygen species. Berries (Blueberries & Goji). Phenolic compounds and antioxidant capacity of Georgia-grown blueberries and blackberries Lipophilic and hydrophilic antioxidant capacities of common foods in the United States Mice drinking goji berry juice (Lycium barbarum) are protected from UV radiation-induced skin damage via antioxidant pathways. Goji berry effects on macular characteristics and plasma antioxidant levels. Studies reporting hypoglycemic activity or improved insulin sensitivity. Blueberries & Goji Berries. Anti-diabetic properties of the Canadian lowbush blueberry Vaccinium angustifolium Ait. Bioactives in blueberries improve insulin sensitivity in obese, insulin-resistant men and women. Hypoglycemic activity of a novel Anthocyanin-rich formulation from Lowbush Blueberry, Vaccinium angustifolium Aiton. Practical Application of Antidiabetic Efficacy of Lycium barbarum Polysaccharide in Patients with Type 2 Diabetes. Studies reporting improved blood pressure or reduced risk of myocardial infarction. Blueberries and/or Strawberries. Daily Blueberry Consumption Improves Blood Pressure and Arterial Stiffness in Postmenopausal Women with Pre- and Stage 1-Hypertension: A Randomized, Double-Blind, Placebo-Controlled Clinical Trial Blueberry intervention improves vascular reactivity and lowers blood pressure in high-fat-, high-cholesterol-fed rats High anthocyanin intake is associated with a reduced risk of myocardial infarction in young and middle-aged women. Blueberries Blueberry. Anthocyanins induce G2/M cell cycle arrest and apoptosis of oral cancer KB cells through down-regulation methylation of p53. Whole blueberry powder inhibits metastasis of triple negative breast cancer in a xenograft mouse model through modulation of inflammatory cytokines Evidence for anti-cancer properties of blueberries: a mini-review. Mangosteen. Significant anti-invasive activities of α-mangostin from the mangosteen pericarp on two human skin cancer cell lines. 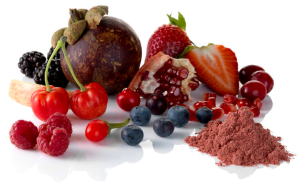 α-Mangostin: a dietary antioxidant derived from the pericarp of Garcinia mangostana L. inhibits pancreatic tumor growth in xenograft mouse model. Apoptotic effects of γ-mangostin from the fruit hull of Garcinia mangostana on human malignant glioma cells. Goji berries. Lycium barbarum polysaccharides induce apoptosis in human prostate cancer cells and inhibits prostate cancer growth in a xenograft mouse model of human prostate cancer. Blueberries and Bilberries. Blueberry supplementation improves memory in older adults Dietary intakes of berries and flavonoids in relation to cognitive decline Bog Bilberry Anthocyanin Extract Improves Motor Functional Recovery by Multifaceted Effects in Spinal Cord Injury Blueberry supplementation enhances signaling and precents behavioral deficits in an Alzheimer disease model Blueberry Supplementation Improves Memory in Middle-Aged Mice Fed a High-Fat Diet Anthocyanin-enriched bilberry and blackcurrant extracts modulate amyloid precursor protein processing and alleviate behavioral abnormalities in the APP/PS1 mouse model of Alzheimer’s disease. Short-term blueberry-enriched antioxidant diet prevents and reverses object recognition memory loss in aged rats A non-polar blueberry fraction blunts NADPH oxidase activation in neuronal cells exposed to tumour necrosis factor-alpha. Mangosteen Neuroprotective. Effects of xanthone derivative of Garcinia mangostana against lead-induced acetylcholinesterase dysfunction and cognitive impairment. Multifunctional Effects of Mangosteen Pericarp on Cognition in C57BL/6J and Triple Transgenic Alzheimer’s Mice. Cell-based studies or studies conducted in animal models reporting a reduction in the production of certain inflammatory biomarkers. Maqui berries. Chilean Native Fruit Extracts Inhibit Inflammation Linked to the Pathogenic Interaction Between Adipocytes and Macrophages. ►BrainOn®—A combination of super concentrated organic extract from nutrient-dense sources including wild-harvested blue-green algae. Helps boost focus and concentration, brighten mood, lower stress, and enable you to function at a higher level. Click here for the science. ACTIVALOE®. 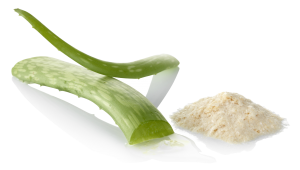 Aloe Vera gel protects liver from oxidative stress-induced damage in experimental rat model. Co-incubation with gel significantly reduced the generation of liver lipid peroxide (LPO). Next, to see the similar effect in vivo, gel was orally administered to rats once daily for 21 successive days. Following 1 hour of the last administration of gel, rats were treated with intra-peritoneal injection of CCl4. Dietary gel showed significant hepatoprotection against CCl4-induced damage as evident by restoration of liver LPO, serum transaminases, alkaline phosphatase, and total bilirubin towards near normal. Papaya juice. 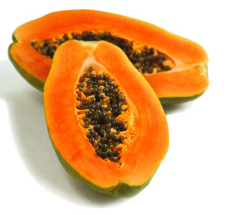 Antioxidant potentials of Iranian Carica papaya juice in vitro and in vivo are comparable to alpha-tocopherol. 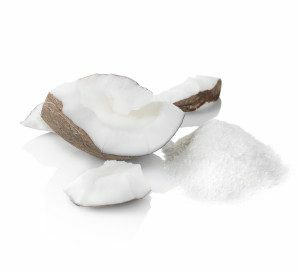 Coconut Milk/Water Antiulcerogenic effects of coconut (Cocos nucifera) extract in rats. Comparison of coconut water and a carbohydrate-electrolyte sport drink on measures of hydration and physical performance in exercise-trained men. Rehydration after exercise with fresh young coconut water, carbohydrate-electrolyte beverage and plain water. Rehydration with sodium-enriched coconut water after exercise-induced dehydration. Moringa oleifera. Direct and Indirect Antioxidant Activity of Polyphenol- and Isothiocyanate-Enriched Fractions from Moringa oleifera. Moringa oleifera. 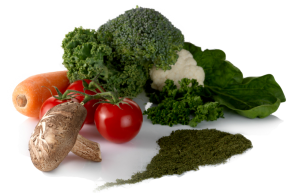 The Antidiabetic Effect of Low Doses of Moringa oleifera Lam. Seeds on Streptozotocin In- duced Diabetes and Diabetic Nephropathy in Male Rats. Adansonia digitata (Baobab) Blood pressure depression by the fruit juice of Carica papaya (L.) in renal and DOCA-induced hypertension in the rat.